Thank you for choosing Huong Sen Healthcare Center as your health care provider. 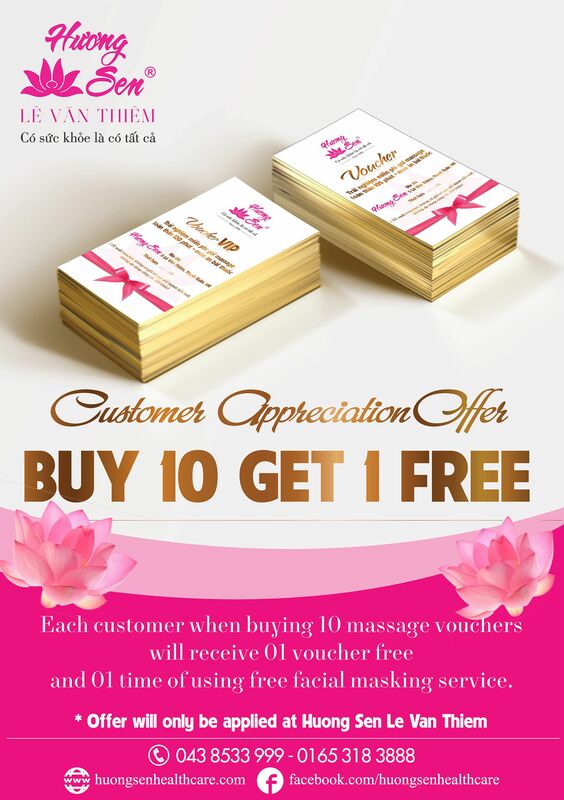 Each customer when buying 10 massage vouchers will receive 01 voucher free and 01 time of using free facial masking service. The offer will end after 31th August 2015.